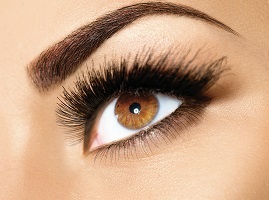 One of the most popular treatments the clinic specialises in, is the famous hair stroke eyebrow tattoo, also known as “feathering” or “brow embroidery”. 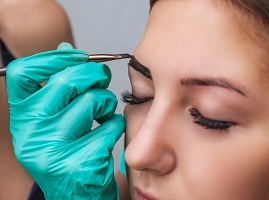 It is NOT however Microblading, which is done with a handheld blade and not a machine device. From Faye’s experience the machine technique is much kinder to skin and longer lasting than using a blade. The crisp hairstrokes we achieve are created using the finest needles available, the Nano needle. 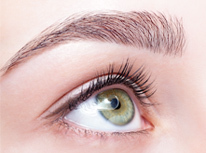 Naturally defined, 3D hair stroke brows are created by using the finest, ‘nano’ needles to place ultra-fine individual hair strokes into the skin, between the existing brow hairs – creating a really natural look. Whether you’re looking for a solution to over-plucked or thinning brows, or simply want to improve their shape this treatment is a favourite for anyone looking to add a little more natural definition to their brows, and ultimately frame their face and features beautifully. Before the treatment, a full and thorough consultation will be carried out to establish your personal preferences and what colouring and shape will work best for you. A pigment skin test will also be required at least 48 hours pre procedure. Faye says; “By implanting individual hairs into the skin, hairstroke brows are the perfect option for anyone looking to create a natural look . 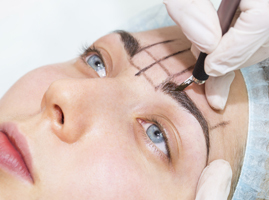 This procedure is the perfect solution for anyone who is looking to transform their thinning or over plucked brows, or simply wanting to enhance their natural look by framing their features with a more defined, symmetrical brow.